Of the Mossad, the Israeli intelligence service, the SAMS officers say: "Wildcard. Ruthless and cunning. Has capability to target U.S. forces and make it look like a Palestinian/Arab act." From the September 10, 2001 edition of the "Washington Times." Want proof the French government did this? LOOK HOW DRY THE BLOOD IS. The blood is THAT DRY yet no EMT's have ever been on this scene because there are zero footprints through any of it, which proves that not only are they not there now, they were never there in the hours prior while that blood was drying. And the only way "hours" could pass like that is if the authorities in charge staged this and murdered everyone in this picture. Pic is from Jim Stone's web site and he also makes the astute observation that there should be footprints in the blood from emergency medical workers being on the scene, but there is none. Just drag marks from where they drug in the patsy's. Neither is there smudge marks on the floor from where EMT's and paramedics would of been on their knees, working on the victims. I was an EMT for over 23 years, working on a Fire Department(FD). Anytime we had a Medical Emergency(ME), the closest ambulance would also respond with paramedics. Working a ME might look chaotic to a bystander, but it's just well-trained personnel working fast to save a life or lives. Which means we're not very 'neat.' We don't take time to pick up the bandage wrappers, or pieces of tape or gauze or tossed aside nearly empty IV bags--with tubing--of dextrose or saline or other liquid solutions to replace the victim's lost bodily fluid or other wrappings of any medical gear we might need. If there's time after the incident is over, the FD personnel would take time to pick up that mess, unless we had another scene to respond to or we had to help the ambulance crew on the way to the hospital. So in the above pic, if they're claiming the pic is after the emergency workers, like paramedics, EMT's and firefighters have already been there and done their thing, they're lying because their should be medical equipment packaging and footprints all over the place. There isn't. If they say it's before the medics got there, how did the press photographers get there ahead of the EMT's and who in the hell let them in, since it's a crime scene and should of been secured from trespassers. 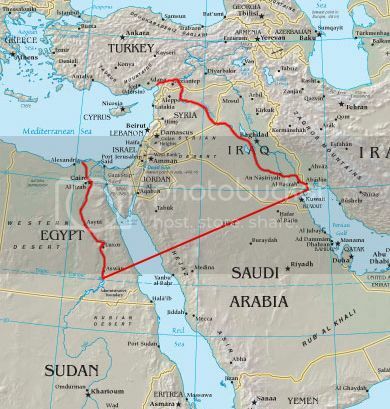 Israel has sped up the Zionist goal of stealing much of the ME and turning it into Greater Israel, or Eretz Israel. But they kept having trouble with those pesky Hezbollah guerillas, who kicked the much larger and better armed, including a lethal Air Force of Israel the last time the Israeli parasites invaded southern Lebanon to steal land and the River Litani. So they're going to keep staging these horrific False Flags, just like they did on 9/11, to enrage the West and have citizens in the USA, France, England demand that their governement bomb to pieces Arab countries near Israel, making it much easier for the Israeli parasite to swoop in and steal the land. My guess is the next one will be here in the States, between now and Thanksgiving. They want to shock Americans into fear and submission, but don't want to interfere too much with the 'Shop till you drop' holiday season when many American Christians show how much they love their Lord Jesus by spending tremendous amounts of money to buy glittery things. Here's what our kids have been fighting and dying for and it sure as Hell isn't justice or democracy. Through my wife, I’m eternally linked to the Jewish community and Israel – says Manuel Valls, prime minister of French Republic. Will Israel Drag Us Into Yet Another War? Two factors are simultaneously moving us toward a general cataclysm, and both have to do with the state of Israel: 1) The government of Prime Minister Benjamin Netanyahu is pulling out all the stops to sabotage the ongoing peace talks between Tehran and the "P5 + 1", and 2) Netanyahu is abandoning the Palestinian peace process and moving rapidly toward his goal of a "Greater Israel." One last thought: When a USA drone slams a Hellfire missile into an Iraqi wedding party or a USA 'Spectre' gunship bombs and shoots up a hospital in Afghanistan, where's all the crocodile tears and around-the-clock media coverage then? Or is it just those 'damned bloody wogs' getting what they needed to get them back in line? It's 'Deja Vu' all over again! French radio station Europe 1 said a “pile” of plastic explosive, 180 detonators and around 40 grenades were stolen. The thieves – described by the station, citing investigators, as “military or former military men who knew the place” – cut through fences to get into the compound. Miramas Mayor Frederic Vigouroux told Anadolu Agency: “We are shocked. This is a military site that is highly secure and well guarded by patrols. "Well guarded?" Not when Israel comes calling. 'Military' men? Like MOSSAD agents? Get ready for an 'explosive' Thanksgiving. Why would the mossad have to break in? Don't they have there own munitions? If the crime scene is fake,then the explosives being stolen from the place is fake? Or is that a distraction to prove something big is going to happen? They stole grenades,big deal,did they use them? I heard pop pop pop pop boom.No grenade sounds or detonators. And that photo is not a closeup,why don't you get a closeup shot and then make your comments,show us the closeups,i see tiny footsteps in that blood,dont you? Why? So it makes the headlines that someone stole some explosives and no one got caught, setting up the False Flag. Tiny footsteps? On a ME scene that big, there should of been so many footprints in the 'blood' that it looked like a herd of deer had run around in the bloody area. I was wondering about the drag marks, first thing I noticed. Forgot to add that there would be a bunch of wheel tracks in the bloody areas from all the wheel gurneys and carts used to remove the patients. There would be wheel marks in the original blood pools and then bloody wheel marks tracking out of the bloody areas off to the ambulance or another, bigger treatment/triage area. The German newspaper Kreiszeitung reported there was an ambulance filled with explosives outside the stadium, a detail officials have not confirmed. German Chancellor Angela Merkel was scheduled to watch the Hannover game, and said she wanted to prove Germany was not afraid of terror attacks, but officials said she was not at the stadium. Reporters on the scene said police were holding a man at gunpoint about half a mile from the arena, though it was not immediately clear why. The axed game came in the wake of the Paris massacre, which included a suicide bomb attack outside a Germany-France soccer game, with French President Francois Hollande attending. He was not injured. Terrorists also bombed and opened fire at a sold-out Eagles of Death Metal concert. This all sounds too familiar. So Merkel says she wants to prove Germany isn't afraid of terror attacks by being present at soccer game. Which is then attacked, and it's discovered she never bothered to show. "We are not your problem, the Syrians are your problem, actually Assad. We are your friends, the Israelis, so help us with our problem and BTW, aren't you a little late with this month's holocaust tribute payment?" 'Jihadi John' was killed? You mean to say John McCain is no longer barking at the Moon? Jew Inc must be in celebratory mode these days, laughing about how easy it is to get the GOY to do their dirty work while American and Israeli Jews loot their economy. I swear, what a joke. Hey Greg, I really enjoyed the link you sent over, what an excellent worthwhile read! Sometimes I don't understand the articles from Thierry Meyssan, they are just too BIG and DEEP involving actors I've never heard of before in places I am not familiar with so I get lost. But hopefully I am broadening my horizon and will be able to grasp. Reading Sibel Edmonds has moved me forward quite a bit. This web site may contain copyrighted material the use of which has not always been specifically authorized by the copyright owner. We are making such material available in our efforts to advance the understanding of humanity's problems and hopefully to help find solutions for those problems. We believe this constitutes a 'fair use' of any such copyrighted material as provided for in section 107 of the US Copyright Law. In accordance with Title 17 U.S.C. Section 107, the material on this site is distributed without profit to those who have expressed a prior interest in receiving the included information for research and educational purposes. A click on a hyperlink is a request for information. Consistent with this notice you are welcome to make 'fair use' of anything you find on this web site. However, if you wish to use copyrighted material from this site for purposes of your own that go beyond 'fair use', you must obtain permission from the copyright owner. You can read more about 'fair use' and US Copyright Law at the Legal Information Institute of Cornell Law School. This notice was modified from a similar notice at Information Clearing House. "Can You Name That False Flag!" NOTICE: In keeping with the latest attacks against Free Speech, Google is requiring some kind of notice on blogs that might be read--oh the horrors!--in Europe, as we all know that they need to spend most of their day worshiping the newest religion, Holocaustianity or demanding that their govt send more of their taxes to Apartheid Israel.